Transferring music files to your iOS hardware is not for the faint-hearted, let alone for novice users, but I suppose you don’t need me to tell you that. 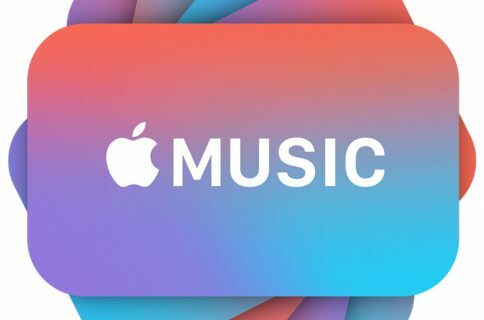 Because third-party apps are not permitted to save songs to the music library on your device, the process officially sanctioned by Apple requires syncing your iPhone, iPad or iPod touch with the bloated mess that is desktop iTunes. Thankfully, specialized apps such as Softorino’s excellent WALTR 2 (free trial available – or $39.95) let you simply drag and drop media files on WALTR’s drop zone and rest assured they’ll be transcoded into iOS-friendly formats and saved into appropriate apps. 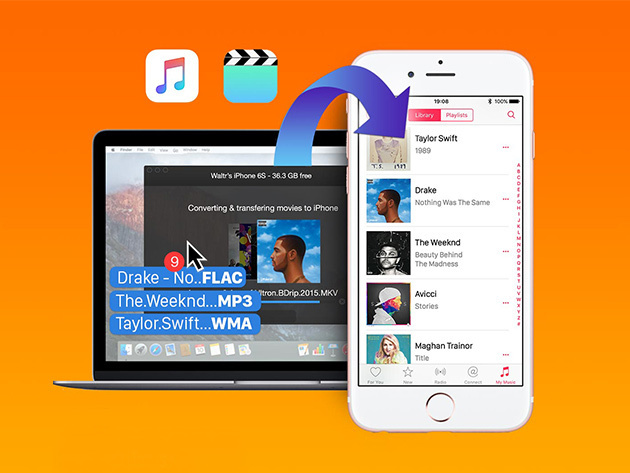 In this brief tutorial, we’ll lay out the process of adding music to iPhone without iTunes, using the WALTR app. WALTR 2 (the app’s name is inspired by Walter White from the legendary crime drama series, “Breaking Bad”) accepts audio files encoded in a bunch of different file formats. Aside from iOS-friendly media file types, WALTR 2 features support for content stored as MP3, FLAC, APE, ALAC, AAC, AIFF, WAV, WMA, OGG, OGA, WV, TTA and DFF files. The app supports songs, audiobooks, ringtones, PDFs, electronic books in the ePUB format and videos (with SRT and AAC subtitle format support) encoded in a bunch of file formats like MKV, AVI and DIVX. WALTR also supports 4K video (Ultra HD, 2160P) at up to 60 frames per second. WALTR’s automatic metadata recognition enriches your music with official song, track and album names, album artwork, and so forth as if they were bough from iTunes. And with automatic content recognition, it fills in any metadata missing from your music files before adapting the file format for your device. 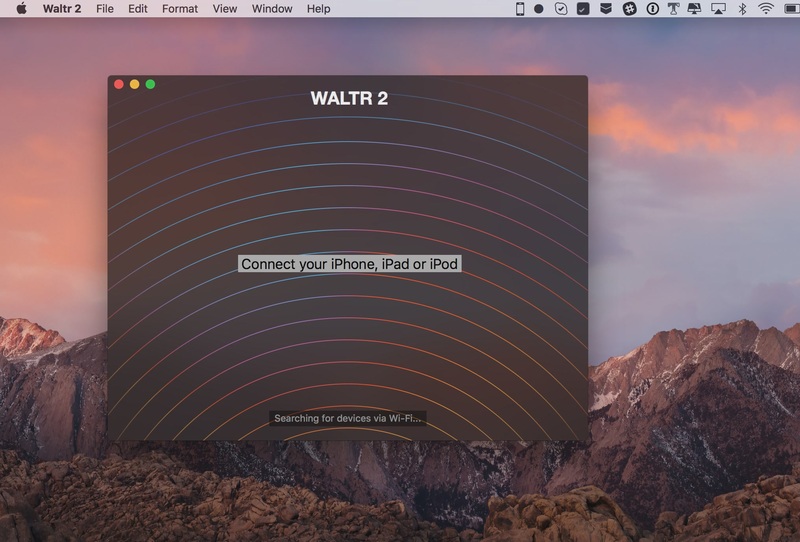 1) Download a free trial version of WALTR 2 for Mac from the Softorino website. Tip: Since WALTR 2 is too useful in terms of sidestepping frustrating limitations imposed by iTunes, Apple currently does not offer the app through Mac App Store. 2) Open the Wltr2.dmg file from your Mac account’s Downloads folder. 3) Drag Waltr2.app app to your Applications folder. 4) Eject the WALTR 2 volume: right-click its icon on the desktop, then choose Eject. 5) Connect your iPhone, iPad or iPod touch to your computer’s USB port. 6) Launch WLTR 2 using Spotlight, or double-click its icon in the Applications folder. Tip: If you see a warning saying the app is from an unidentified developer, you can temporarily override your current Gatekeeper settings and launch the app anyway: simply right-click WALTR’s icon in the Finder, then choose Open from the popup menu. 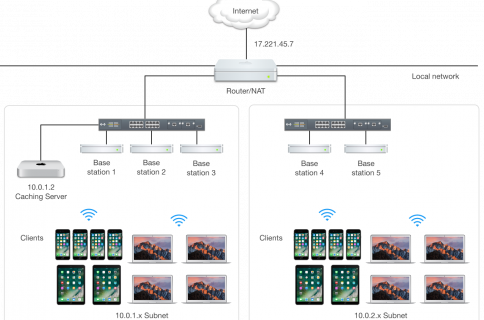 If both your iOS device and the computer are connected to the same Wi-Fi network, WALTR should connect to the mobile device wirelessly. If it fails to detect your iOS device via Wi-Fi, connect it to iTunes, uncheck “Sync with this phone over Wi-Fi” and click Apply. Now re-enable the box and hit Apply again. Once found, your iOS device is ready to accept media files dropped onto WALTR. Need a good excuse to blow the dust off your favorite iPod? WALTR 2 supports every single mobile device from Apple, from the original iPod of 2001 to the latest iPhone 7. 7) Locate music files on your Mac that you’d like to transfer onto your iPhone. Tip: Speed up the process by creating a Smart Folder in the Finder to collate all music files. 8) In the Finder window containing your music files select one or more items, drag them onto the WALTR 2 window, then let go of the button. You can also drop a mixture of different file formats onto the WALTR 2 window—the app intelligently sorts and transcodes any dropped files before distributing them across appropriate iOS apps. Tip: Alternatively, click the Select Files button in WALTR. You’ll see a message saying the app is transcoding your files on the fly. Once all of the files have been successfully transferred, WALTR should tell you to grab your iPhone and launch the Music app. 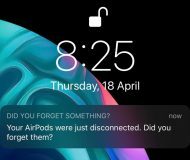 Tip: Don’t worry about disconnecting of a USB cable while files are being transferred to your iOS device: WALTR 2 uses a feature called advanced connection stitching that automatically resumes file transfer via Wi-Fi, if available. 9) Quit WALTR and unplug your iOS device from the computer. 10) Launch Music on the iOS device and listen to the tracks you just transferred. No, really—that’s all there’s to it! Tip: WALTR 2 handles longform albums with ease: with full CUE sheet support, it automatically breaks down a long single-audio file such as Mike Oldfield’s “Tubular Bells” album into multiple files that appear as standalone tracks in the Music app. Unfortunately, any content transferred to your iOS device with WALTR won’t sync back to desktop iTunes so this is something to keep in mind. 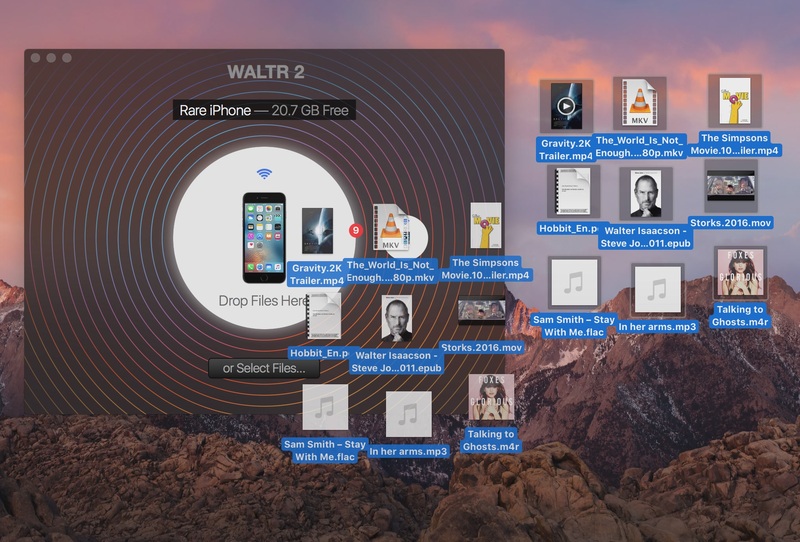 WALTR is a fantastically efficient solution for all of us who loathe iTunes and value drag-and-drop simplicity. 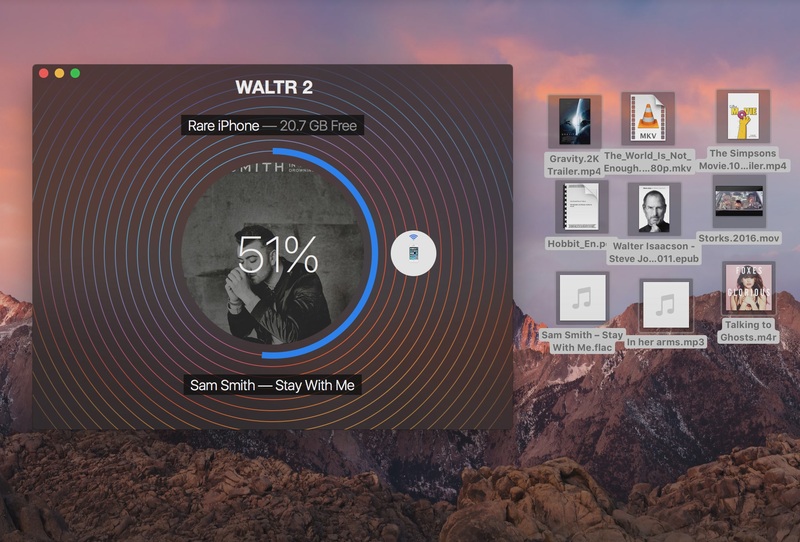 More than a media format converter, WALTR lets you fill up your Apple mobile devices with your content without worrying about file formats—no jailbreak, separate iTunes sync or another app like Handbrake required whatsoever. It bypasses the need to resort to third-party apps just to add some media to your iOS device. 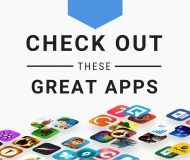 Best of all, WALTR does the right thing: all you have to do is pick some media files and trust WALTR to transcode and send them to the right apps on your iOS device. In other words, songs go to the Music app, electronic books and PDFs are sent to iBooks, videos are shared with the stock Videos app and so forth. WALTR’s proprietary engine is remarkably efficient,— it took the app under two minutes to transcode a 2.64-gigabyte MKV file on my mid-2013 MacBook Air with a 1.3 GHz Intel Core i5 chip and send it over USB to my iPhone. For the full overview of the app’s features, be sure to read our WALTR 2 review. WALTR 2 for Mac requires an Intel-based Mac with macOS Mavericks 10.9 or later. WALTR 2 for Windows is compatible with Windows 7 and up. A free trial is available on the Softorino website, where new users can purchase a $39.95 license that unlocks full functionality. Users of previous versions of WALTR can upgrade to WALTR 2 at 50 percent off.